Ernest Stanley Ostrom, "Stan", was born August 11th 1921 in Rockford, Illinois to Ernest Daniel Ostrom and Eugenie Weltzer. Stan was, and his family continues to be, very proud of his military career. He retired as a Lieutenant Colonel in the U.S Army after a dedicated 20 years of service, and served his country with tours of duty in Panama, Germany, and Korea. Stan married his high school sweetheart, Gloria Hope Garrison, March 24th 1945. They welcomed their daughter in February 1946 and their son in October 1949. In 1950 they purchased their home in Tacoma and when Stan retired in 1962 they called Tacoma home permanently. Stan and his family also enjoyed time away at their coastal property in Surfside Estates, Ocean Park, Washington. Stan was preceded in death by his parents Ernest Daniel Ostrom and Eugenie Weltzer; his sister Loraine Allen; and his uncle Lucian "Zeke" Weltzer with whom he had a close relationship. 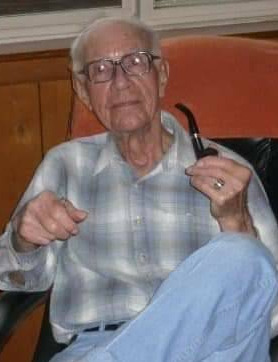 He is survived by his loving wife of 74 years, Gloria; daughter Daryl Ann Ware; son David Lee Ostrom (Nancy); his grand-daughters Christy Marie Clifton (Warren), Windy Michelle Ware, and Courtney Marie Kover (Scott); his grandson James Ostrom; his great-granddaughters Kimberlee Ann Clark-Greenwood (David), Cassandra Hope Payne (Kyle), Nicole Michelle Edwardson, Kaylee Marie Kover, Madison Clifton, and Sydney Clifton ; and great-great-grandson Cole Skye Greenwood.